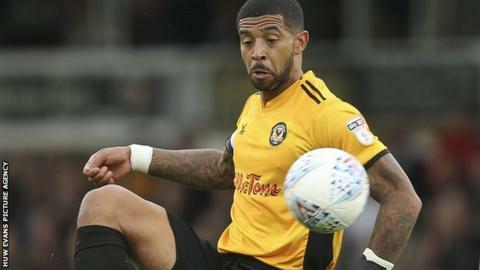 Newport County have opened contract talks with captain Joss Labadie. The midfielder is in the final few months of his current deal having joined the Exiles from Dagenham and Redbridge in 2016. Labadie, 27, said: "We have had initial discussions. There is nothing set in stone just yet. But I am happy, I am enjoying my time here and that's all that matters at the moment." Newport are 12th in League Two, just a point outside the play-off positions. Labadie, who has five goals this campaign, believes the progress has been "phenomenal" since the club's dramatic escape from relegation on the final day of last season. He said: "I am looking to get Newport into the play-offs and out of this league, that is my main focus." Newport travel to Cambridge, on Saturday, and should have midfielder Ben Tozer available again after missing last weekend's 3-3 home draw with Carlisle United through illness.